Will subtitles get in the way of HBO’s ‘My Brilliant Friend’? 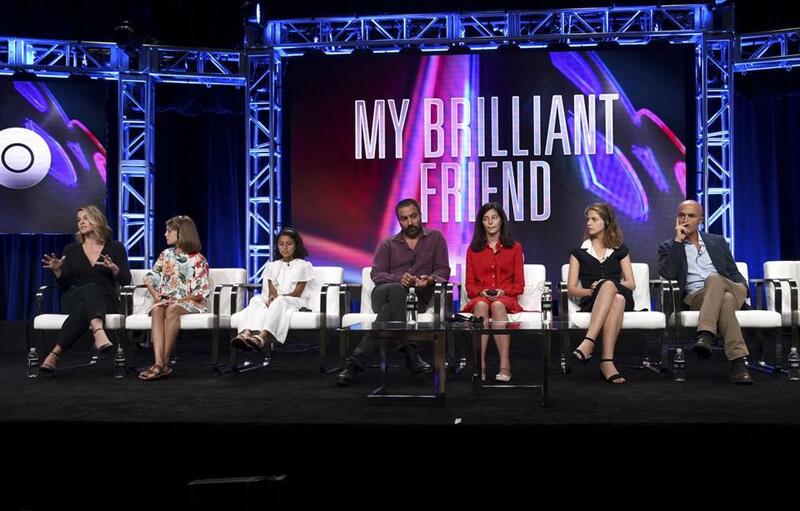 From left: actress Ludovica Nasti, director Saverio Costanzo, actress Gaia Girace, actress Margherita Mazzucco, and executive producer Lorenzo Mieli of “My Brilliant Friend” at a Television Critics Association discussion in July. HBO is saying that its eight-episode adaptation of Elena Ferrante’s “My Brilliant Friend” will premiere in November. For those rabid Ferrante fans who are literally counting the days, the cable channel still hasn’t given a specific date. But the first two episodes premiered at the Venice Film Festival over the weekend, and HBO released the first teaser last week. The highly anticipated limited series is definitely coming at us, with the trailer delivering lots of gorgeous cinematography as it gives us glimpses of preteen and teenaged Elena and Lila. Watching the clip, I remembered that the series — like the book — is going to be in Italian, with subtitles. That’s something of a gamble for HBO, which may explain why the channel has only committed to airing the adaptation of the first book in Ferrante’s tetralogy. Three more eight-episode series of those other novels are in the offing, and I’m assuming HBO will pick them up if the first round goes well. Are American audiences ready to break through their historic resistance to reading the screen? Netflix has certainly been testing the waters, bringing foreign-language series such as “Babylon Berlin” to audiences; but because Netflix keeps its ratings top secret, it’s hard to know if many viewers have been willing to go there. I’m assuming that if any series is going to overcome the obstacle, it’s probably this one. The best-selling Neapolitan novels are beloved by readers all over the world.